Platelet Rich Plasma, more commonly referred to as PRP, is a type of therapy at the forefront of regenerative medicine. PRP has been shown to be effective in treating lingering arthritis, tendonitis and joint pain as well as using various cosmetic and aesthetic treatments. 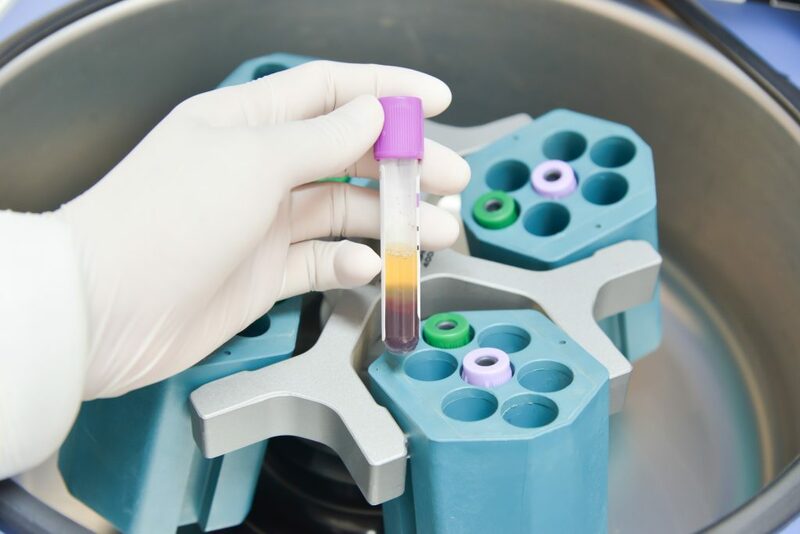 And unlike many orthopedic treatments that involve steroids or other medications to reduce pain, PRP relies on activating and enhancing the human body’s natural healing response. With minimal risk and with initial improvements often occurring within just weeks, many patients in Utah are finding this to be an incredibly attractive and even preferable orthopedic treatment option. The procedure of platelet rich plasma treatment is fairly simple. Platelet rich plasma is collected by first drawing a patient’s blood. That blood is then spun down to separate the red blood cells from the plasma. The platelet rich layer of that plasma is extracted, concentrated, and re-injected into damaged tissue. The influx of that platelet rich plasma then triggers a natural healing response by the body. The platelets, when activated, release adhesive glycoproteins and other various growth factors, which enhance healing on a cellular level. An added function of platelets is sending out signals via blood-borne cytokines to summon the body’s own host of stem cells to the the arthritis or injury site. Stem cells have the ability to transform and differentiate into most types of body tissue in order to aid in regrowth and repair. Treating sports injuries with PRP injection is a popular and effective application of this procedure. This treatment uniformly reduces recovery time from injury and overuse. And with the high success rate of PRP therapy, resorting to surgery is often unnecessary. In fact, PRP has been used in conjunction with Stem Cell Therapy in instances of failed orthopedic surgical procedures as a salvage option. PRP can also promote muscle healing, as well as provide significant pain relief in arthritic joints, particularly knees. Cosmetically, PRP is frequently used to treat chronic or acute scars, ulcers, and contour defects. As with orthopedic applications, PRP injections can create new, healthy tissue, allowing us to improve problem areas on the forehead, lips, and neck where fillers or Xeomin injections may not be appropriate. With more than 35 years of orthopedic experience at South Valley OrthoMed, patients will receive the highest level of quality care found throughout the Salt Lake Valley.